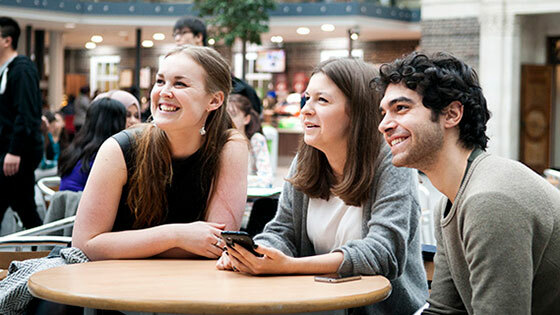 Clearing is your opportunity to study the subject you’re passionate about at the university of your choice. Already have an offer with Middlesex? My offer has been confirmed. What happens next? Congratulations! 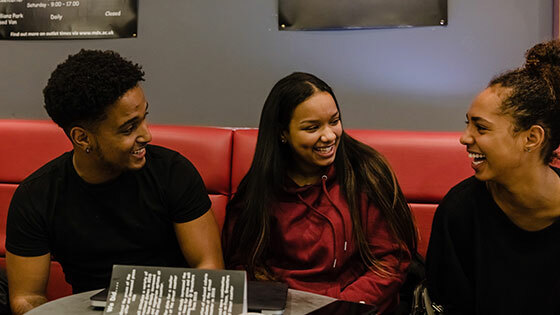 Confirmation of your offer means that you have a place at Middlesex University for September 2018 and you will soon be receiving further information about induction and enrolment. My place has not been confirmed. What do I need to do now? We may require further information to make a decision (e.g. copies of your qualifications, confirmation of your residency status). Please contact us on 0208 411 6565 and we will be able to advise you accordingly. Please look on UCAS Track first as we may still be able to accept you or offer you an alternative course in a related subject. If we have offered you an alternative course you will need to accept this on UCAS Track. If we cannot accept you, this will also be shown on UCAS Track. What courses are in Clearing? See a full list of courses that are in Clearing. Check our Clearing course vacancies then call our Clearing hotline on 020 8411 6565. I applied to Middlesex but declined the offer. Can I apply again through Clearing? Yes, you can apply through Clearing. Call our Clearing line on 020 8411 6565 and tell our advisors that you had previously applied and had an offer from us. What do I do if I have an offer from another university? If you are holding an offer from another university, you will need to be released into Clearing by that institution. Give us a ring on our Clearing hotline 020 8411 6565 first though and check with us if we can offer you a place. I can't get through on the Clearing phone line. Our phone lines are very busy, however you can also apply online. Please fill in the online application form and a member of our Clearing team will get back to you. Alternatively you can also visit us on our Hendon campus. We will have advisors available on Tuesday 14 August, Wednesday 15 August, Thursday 16 August, Friday 17 August, Saturday 18 August, Monday 20 August and Tuesday 21 August who will be able to deal with any queries. Please remember to bring along your certificates and transcripts. I have received an offer through Clearing. What do I need to do next? If you have received an offer from us, we will send you an email with further information. It may be that you have to come in for an interview or send us copies of your qualifications. Please follow the information in the email. 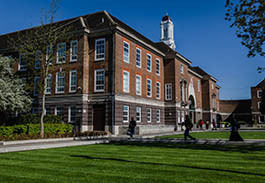 To accept your place at Middlesex you need to press the 'Add Clearing choice' button on your UCAS Track and enter the course details and institution code (M80). 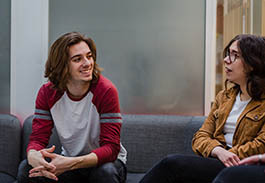 You can find a detailed explanation of the Clearing process on the UCAS website. Please note you should do this within 48 hours of this offer being received to guarantee your place. We can only accept you after this time if places are still available on your chosen course. We are open for advanced entry (Year 2 and Year 3) applications. Please give us a ring on our Clearing hotline 0208 411 6565. Don’t worry! You can call us on 0208 411 6565 and one of our advisers would be able to assist you with your application. You will be required to send us a copy of your qualifications to confirm that you meet the entry requirements (an email with instructions on how to upload your documents will be sent to you). A member of our clearing team will then review your application and a decision will be sent to you via e-mail. We are able to accept applications for most of our courses from international students. Please call our Clearing hotline on +44 (0) 208 411 6565 to make an application. Make sure you inform us that you are an international student and require a Tier 4 Visa to study in the UK. If you are an international applicant and have not applied through UCAS yet you will need to complete our online application form. You can also apply directly to your nearest regional office or apply through one of our trusted educational consultants in your country. Once you have received an offer and successfully completed a visa credibility interview (where appropriate), we will be able to issue you with a Confirmation of Acceptance for Studies (CAS). 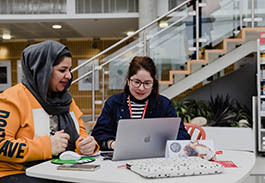 Please make sure to send us scanned copies of your passport, your qualifications and your English language qualifications (if required) to clearing@mdx.ac.uk to complete your application. You can then apply for a student visa through the Border Agency. I am a European Union student. What do I need to do about my health insurance? If you are a student from the European Union it is important you apply for a European Health Insurance Card (EHIC). The process is often a lot easier if you apply for your card in your home country before you arrive in the UK. We have a wide range of scholarships available. Check to see if you're eligible. Do I need to notify Student Finance England about my clearing place? Please make sure to let them know you have changed your course or university through Clearing. You can do this through your online SFE account or by calling the customer helpline on 0300 100 0607. I have not yet applied for Student Finance. Please make sure to do this as soon as possible via the Student Fiance website. I have previously studied at another higher education institution. Am I eligible for funding? Please email our Student Welfare Advice Team or 020 8411 3008 for further advice. This is so you can be sure that you will secure full funding for your academic course. I have discretionary leave to remain in the UK / have lived outside the UK within the last 3 years. Am I eligible for funding? I am an EU National. Am I still eligible for Student Finance? 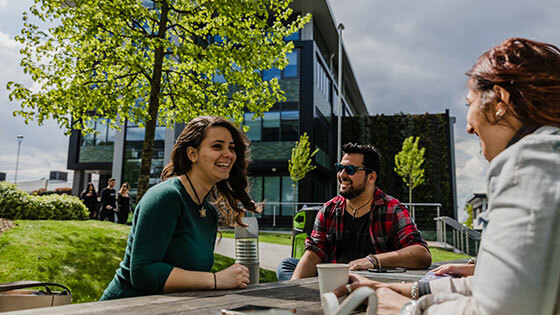 Student Finance England has announced that EU nationals who are currently studying here, or who intend to start studying this autumn who are eligible to receive loans or grants from them will continue to receive these loans until the end of their course.